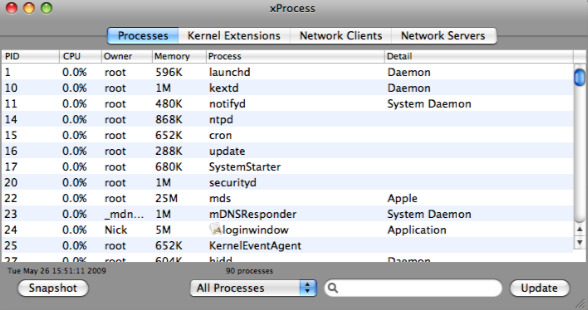 How to analyze running processes on your mac? 1. There is a utility in every mac that comes as default, named Activity Monitor. It shows all those processes which are running and the space they are occupying in your RAM. It can be opened by going to Applications > Utilities and it has a few things similar to the Task Manager in Windows OS. 2. If at all the activity monitor in your mac does not respond well or shows any errors, here is an alternative mac application which analyzes and shows all the running processes, kernels etc. that are running at that particular time – xProcess1. All the processes, their disk usage, CPU usage percentage, and the process app detail etc. are listed. But one disadvantage with this utility is that unlike the Activity Monitor, you won’t be able to Force Quit any application using it. It is helpful just for analysis of the disk space usage etc. 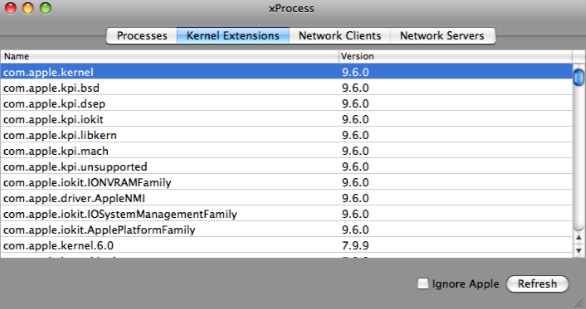 Although xProcess1 is a very handy and lite utility, i would suggest you to go with Activity Monitor to analyze things, and use xProcess1 only as an alternative when the former does not respond well. Download xProcess1 utility from here. I use mac long time ago, but now I am using windows, and I am happy with that.